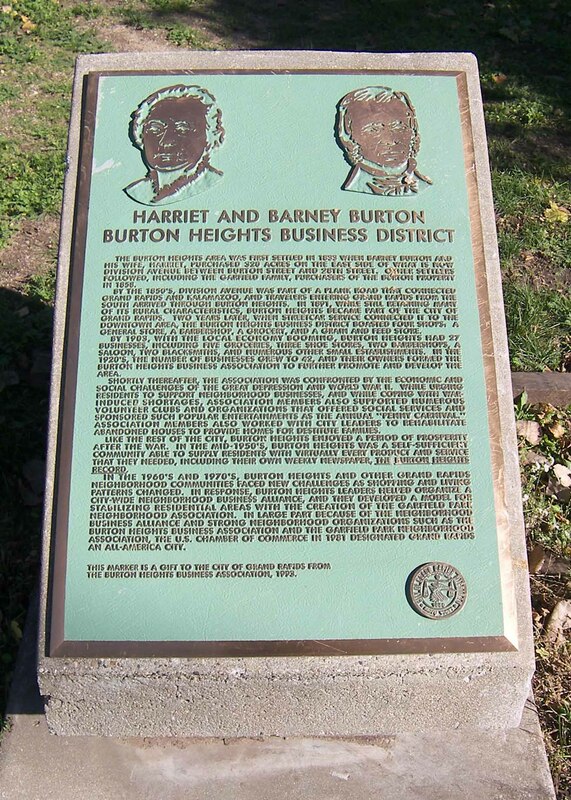 The bronze marker, in the style of other markers donated to the city in the 1990s, includes portraits of Harriet and Barney Burton and a brief history of the Burton Heights business district. The marker was donated to the City of Grand Rapids by the Burton Heights Business Association in 1993. Title by cataloger. The marker is on the original 320 acres owned by Burton on the east side of Division between Burton and 28th St.